Fairy tales do come true! 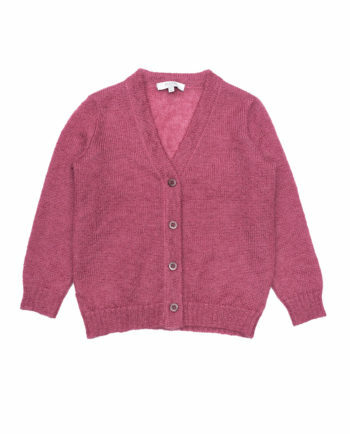 Softest mohair/silk blend Mohair Cardigan Vasilisa Old Pink is the perfect fall item to have. Layer with a blouse or a dress for a perfect outfit. Fairy tales do come true! Softest mohair/silk blend Mohair Cardigan Vasilisa Light Brown is the perfect fall item to have. Layer with a blouse or a dress for a perfect outfit. Mohair Dress Vasilisa Old Pink is made for the trendy and daring girl who wants to be on top of the world and the star of the show. Luxurious mohair/silk blend knit dress with delicate black bows. Wear it with a turtleneck or silk blouse. Stand-out look for everyday and special occasions. Fairy tales do come true! Softest mohair/silk blend Mohair Cardigan Vasilisa Hot Pink is the perfect fall item to have. Layer with a blouse or a dress for a perfect outfit. Mohair Dress Vasilisa Hot Pink is made for the trendy and daring girl who wants to be on top of the world and the star of the show. Luxurious mohair/silk blend knit dress with delicate black bows. Wear it with a turtleneck or silk blouse. Stand-out look for everyday and special occasions. Gorgeous colour, amazing cut, softest mohair and silk mix – our favourite, cosy Mohair Cardigan Monan Grey just right for fall and winter. Gorgeous colour, amazing cut, softest mohair and silk mix – our favourite, cosy Mohair Cardigan Monan Red just right for fall and winter. Gorgeous colour, amazing cut, softest mohair and silk mix – our favourite, cosy Mohair Cardigan Monan Orange just right for fall and winter. 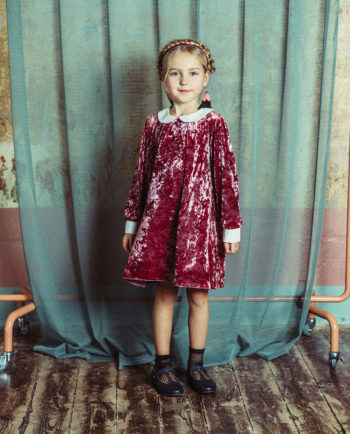 Paade signature Velvet Dress Matilda Blue. Our familiar fit, crushed royal blue velvet embellished with white collar and cuffs. 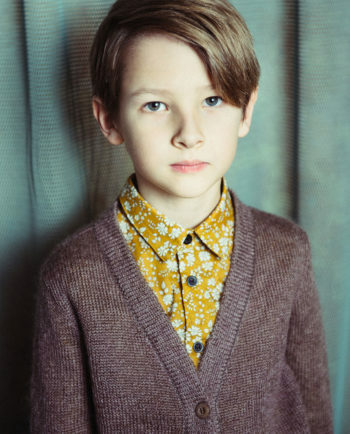 Pair it with a soft mohair cardigan and velvet socks. Long sleeves and flared fit, button fastening on the back. 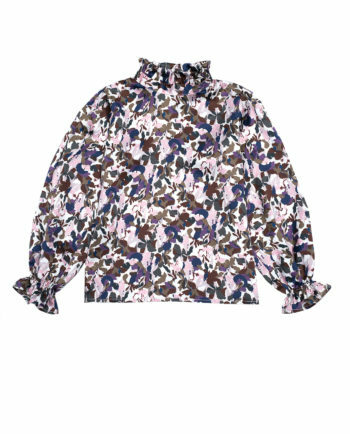 Silk Blouse Malvina is made from signature Liberty Fabrics print in softest silk satin. 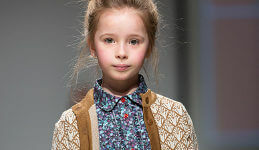 Forest-inspired tones, delicate frill detail and full sleeves make it girly and elegant. Wear with Paade Crepe skirt or Mohair dress. Paade signature Velvet Tunic Matilda with Embroidery Bronze. Our familiar fit, crushed bronze velvet embellished with a red embroidered heart. 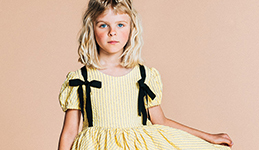 Pair it with a soft mohair cardigan and velvet socks. 3/4th sleeves and flared fit. 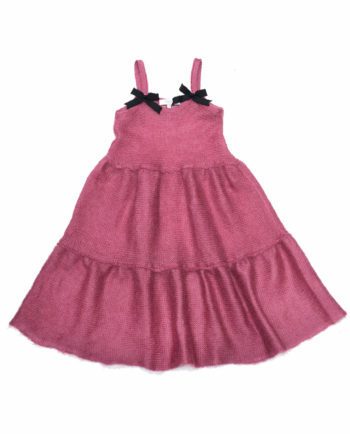 Paade signature Velvet Dress Matilda Pink. Our familiar fit, crushed pink velvet embellished with white collar and cuffs. 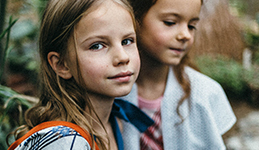 Pair it with a soft mohair cardigan and velvet socks. Long sleeves and flared fit, button fastening on the back. 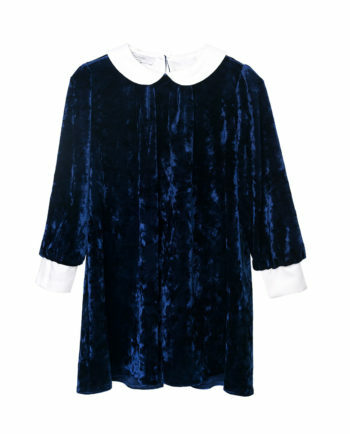 Paade signature Velvet Tunic Matilda with Embroidery Blue. 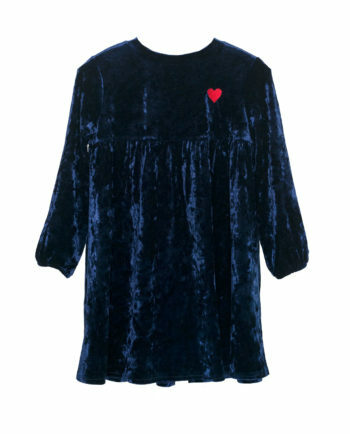 Our familiar fit, crushed royal blue velvet embellished with a red embroidered heart. Pair it with a soft mohair cardigan and velvet socks. 3/4th sleeves and flared fit.